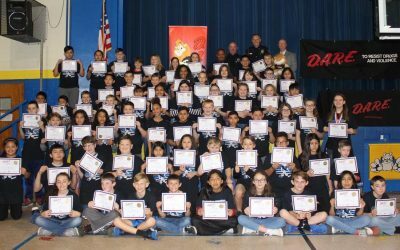 Students in the D.A.R.E. program at Herkimer Elementary School wave during the program’s graduation on Wednesday. 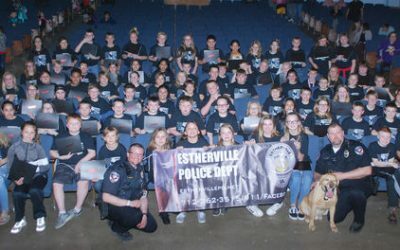 Students were treated to a pizza party, cake and were given a free T-shirt and certificate. 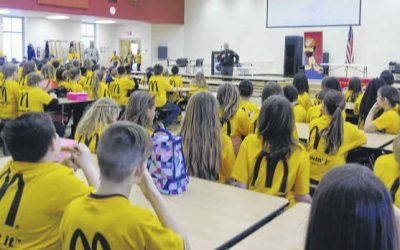 HERKIMER — Fifth-grade students at Herkimer Elementary School had a pizza party Wednesday as part of their graduation from the 10-week D.A.R.E. program, which teaches kids how to make good decisions about drugs and life. Wright visited every fifth-grade classroom in the school once a week for 45-minutes to talk about a D.A.R.E. program topic. He said one thing the program teaches is the D.A.R.E. Decision Making model, which stands for: Define what’s the problem; Assess what are the choices; Respond and make a decision and Evaluate if it was the right decision. 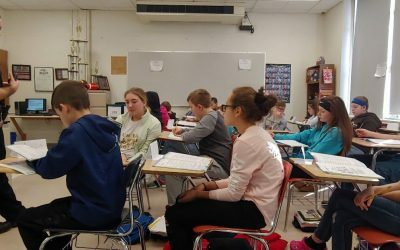 Though the program isn’t for a school grade, all of the students had to write an essay about one of several topics, including bullying, good decision-making, dealing with stress and social networks. Some of the students opted to do their essays via Adobe Spark video. The program is operated through the Herkimer Police Department. 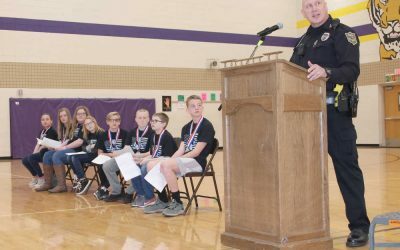 Chief Michael Jory said having the program at the school builds its relationship with the school and kids, noting the police department will work with the students in the community outside of the school setting. “We want them to see us as humans, but respect the position we’re in as officers,” he said. Jory said the department is able to deliver the program by working with the school staff. “It’s a great, collaborative effort,” he said. Jory also said the D.A.R.E. program wouldn’t be possible at the school without the support of Tom Arcuri, owner and director of Bailey’s Karate in Herkimer. Arcuri said Wednesday the karate school holds fundraisers to support the program. “Any program that fosters a positive relationship between officers and children is healthy for the community,” he said. 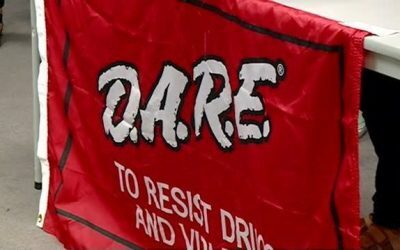 Arcuri said he estimates the school has raised about $30,000 over the past 20-plus years for D.A.R.E. 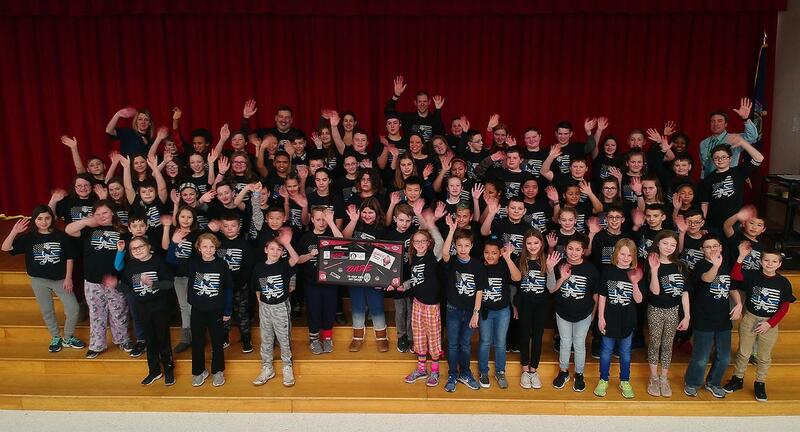 Besides the pizza party, which included ice cream and cake, students received a free T-shirt and certificate to recognize their completion of the program. Four students were recognized for their essays: Alexander Downs, Rosalyn Nietes, Kaitlyn Pierce and Hannah Ubele. 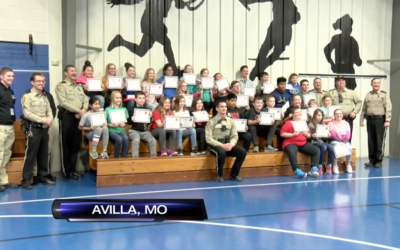 Each won a $25 Wal-Mart gift card and a D.A.R.E. pin. 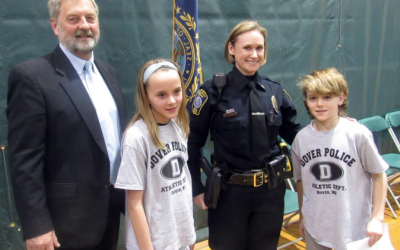 On the Herkimer police Facebook page, they thanked Arcuri “for his years and years of support to the D.A.R.E. 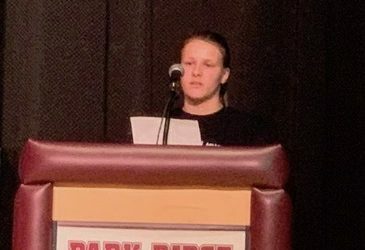 program” and to Maureen Petrie, executive director of Catholic Charities of Herkimer County, for providing the funds for Wright to become a certified D.A.R.E. officer.